The following collaboratively written article is the result of months of research in a joint project by Vincent Beshara and Cody Roche. Please save or open images in a new tab to see full details. More than five years into the grueling Civil War, the landscape of actors in Syria has only become more complex. Much scrutiny and attention has been focused on the numerous rebel groups that have been spawned by the fighting and their backers. 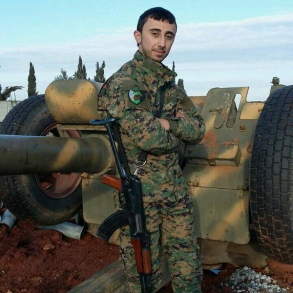 The rise of ISIS, the entrance of the American-led Coalition, and now the Turkish backed Euphrates Shield operation, have all added new actors on the ground to an already complex war. Until recently however, much less attention has been paid to the large array of actors fighting to maintain the Assad regime. For one reason or another, the topic has been largely undiscussed in detail, and when discussed, has been controversial. 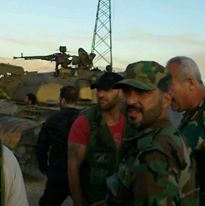 Yet while it is unclear exactly how many men (and in rarer cases, women) are members of the hundreds of loyalist militias, it is clear that not only is the number of members high, so is their importance—as of March 2015, it was estimated that regime manpower was made up of 125,000 regulars and 125,000 pro-government militia members (with the latter figure including foreign Jihadis fighting for the regime), and almost a year later it seems this balance has likely shifted in favor of the militias. 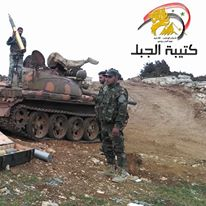 As the situation stands today there does not exist a single front that is entirely held by the SAA. 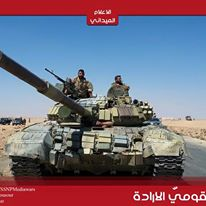 That is true from Deraa, up through Damascus to Aleppo, Hama and Latakia, and even out in the long cut-off outpost in Deir EzZor. We have compiled several infographics with over one hundred Syrian and foreign militia groups, in which every part of Syria is represented. These militias vary in size and importance. Some are no more than a few dozen men, perhaps encompassing and tied to a village or a neighborhood, highlighting the highly regional nature of this conflict on all sides. Other groups field a few thousand men, numerous pieces of armor and artillery, have a national presence, and even their own training camps and networks. Likewise, their ties to Damascus, and more importantly, the level of control Damascus exerts over them, varies. 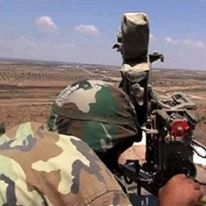 As foreign support for Assad’s regime has increased, some sources have taken to claiming that the Syrian Arab Army (“SAA”) either no longer exists, or barely exists, with the fight being in the hands of the various foreign militias and military forces that have joined the fighting on Assad’s behalf. 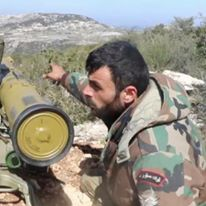 The importance of these foreign backers and fighters and the profound influence they have had on the Assad regime should not be ignored, and both their effect and the number of groups involved is eye-catching. From the Iranian and Russian military forces, to Lebanese Hezbollah and the various Iraqi militias, to Afghans and Pakistanis fighting in the Iranian backed groups, it is easy to see why such attention is paid to these groups. These foreigners have played key roles for the regime, including taking the lead in several important offensives. 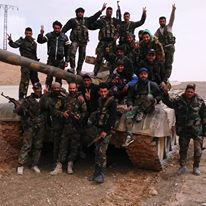 However, to state that foreigners are doing the bulk of the fighting among pro-Assad forces or that the SAA “no longer exists” is as hyperbolic and incorrect as the common regime apologist trope that the Free Syrian Army “no longer exists.” As is the case with the Syrian Opposition, Syrians continue to make up the bulk of the fighters doing most of the fighting, and dying, among pro-Assad forces. That is true across Syria. 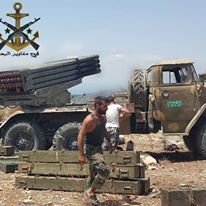 Likewise, the SAA continues to exist. 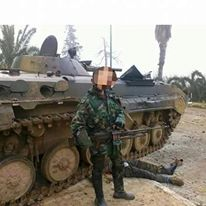 However, the SAA today is not the SAA that started the war. It is a much diminished shell of itself, mustering less than half the manpower of the pre-Civil War figure of 300,000 and heavily supplemented by localized actors—the regime has “doubled down on the sectarian, tribal, and thuggish inclinations of its base” in order to remain viable. 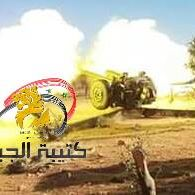 While much has been made of the large number of rebel groups, there has also been an explosion of non-SAA groups (or, militias) fighting on Assad’s side. It is these groups that are the focus of this article. It is difficult to describe the array of loyalist militias, as they are as diverse as their counterparts among the Syrian Opposition. 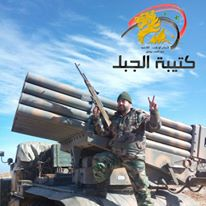 There are militias that can be described as Nationalists, such as the Homeland Shield Brigade [Liwa Dir’ al-Watan]. 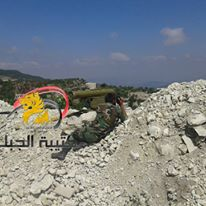 There are ethnic militias, like the numerous Palestinian militia groups, and militias organized along sectarian lines such as Shi’ite militia Liwa Imam al-Baqir or one of dozens of Druze militias. 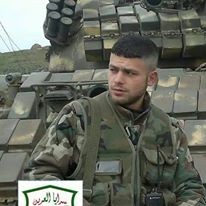 Likewise, numerous Alawite and Christian militias exist. 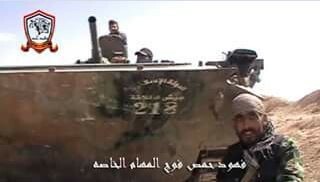 There are militias organized along tribal lines, like Ussud al-Sharqiya made up of Shaitat tribe members. 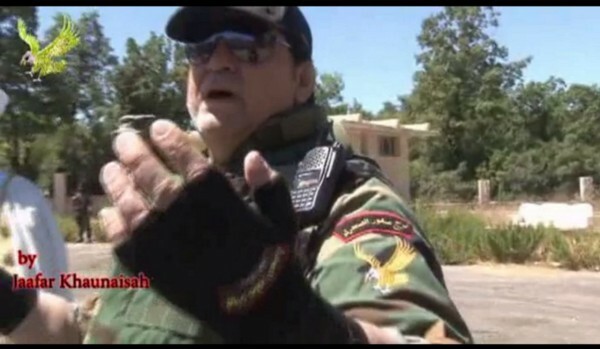 At least one all female militia is known to have existed, the Druze Labawat al-Jabal. 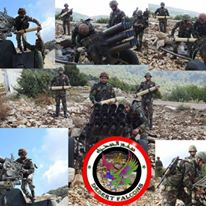 Armed wings of extremist political parties exist such as the well-known fascist Syrian Socialist Nationalist Party and their Whirlwind Eagles militia [pictured above in Latakia late 2015], as well as that of the Assad regime affiliated Ba’ath Party and its Lebanese branch. Militias tied to outside powers have become increasingly common, like Quwat al-Ridha, one of a number of “Syrian Hezbollah” groups. 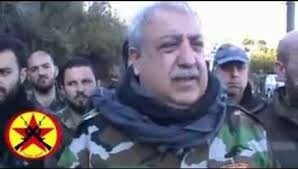 There are militias which are simply raised and financed by wealthy Syrians, such as the groups created by the Jaber brothers in Latakia. 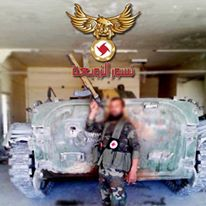 There exist numerous militias who have ties to one of the Syrian intelligence services, or one of the “elite” Syrian military formations. 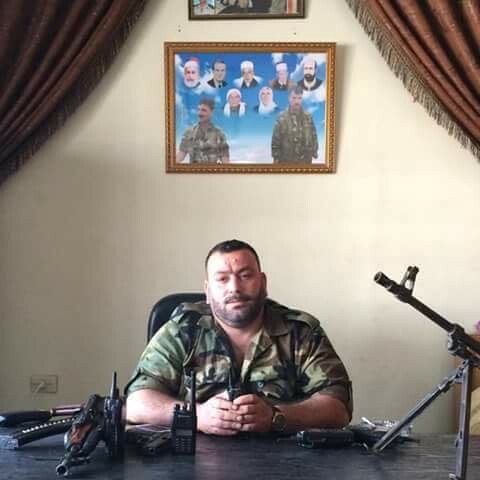 Finally, there exists militias who legitimately would be considered no different than a criminal gang in a time of peace, even by the notorious standards of pre-Civil War Syria. 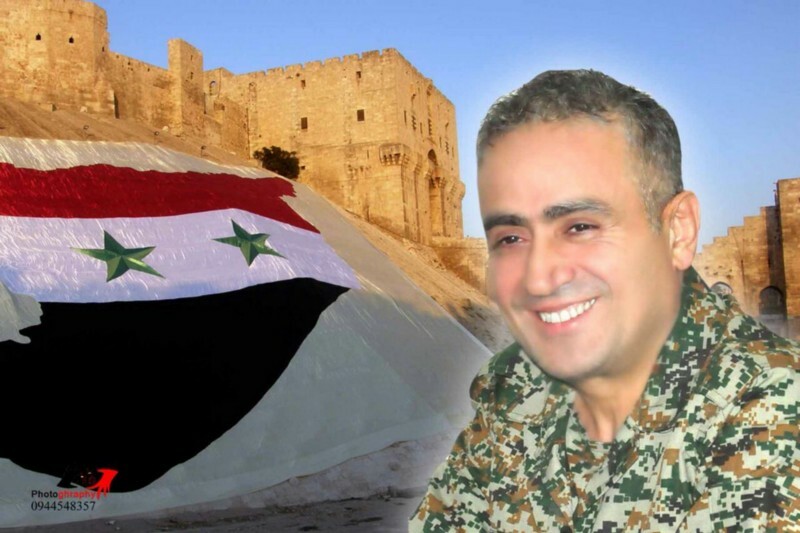 An example of the latter is Liwa Usad al-Hussein, led by Hassan al-Assad [pictured above]. 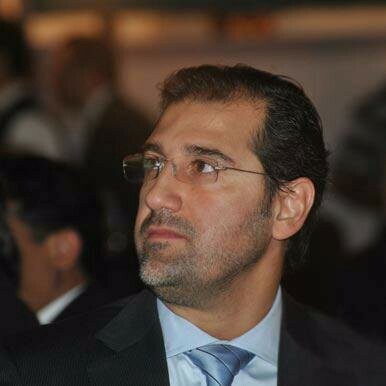 Hassan’s now deceased father, Mohammed Toufic al-Assad, “founded” Lions of Hussein, a well armed Latakia based militia. Mohammed was nicknamed “Chief of the Mountain,” as before the war since the 80’s he ran smuggling networks in much of Latakia. His group had been tied to kidnappings and extortion. 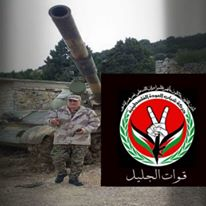 Now with the war, his network has been re-branded as a loyalist militia which has fought everywhere from east Homs to Latakia, although it has continued its criminal activities on the side. 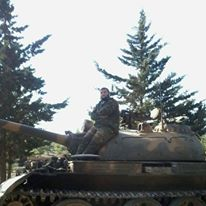 As an example of the volatile nature of these types of regime militias, Mohammed Toufic al-Assad met his end in March 2015 with 5 bullets to the head in an intra-regime dispute over influence in Qardaha Latakia. 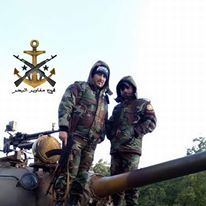 This regime infighting is a recurring theme, as the recent murder of a prominent commander of a Tiger Forces group by other loyalists in Tartous demonstrates. 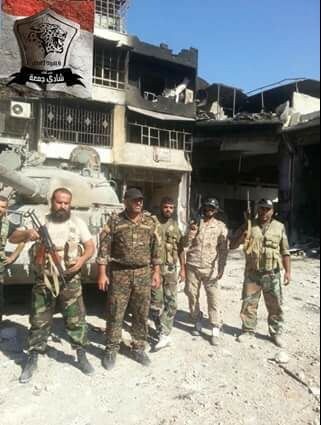 What is left of the regular SAA complain bitterly of the pay imbalance and the incentives militia members are given, stating “How do you not feel oppressed when you see people joining these [reserve] militias and getting paid more than you?” Both regime reporters and pro-regime activists have complained of mass looting by regime militias. For several reasons, the regime militia infographic is likely a large under count of the actual number of loyalist Syrian militias active in Syria. For one, given the nature of this article trying to visualize groups by presenting logos, we have had to exclude numerous groups we know of that do not have logos. 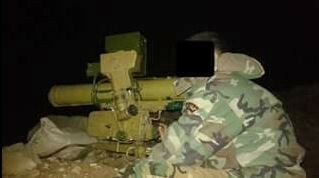 Another issue is the general lack of information on loyalist militias in Syria. 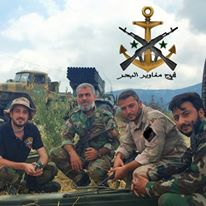 Partially due to the lack of attention they have received, observers and media often use the general terms “SAA” or “NDF” to blanket describe any loyalist fighters who are Syrian, ignoring the true composition of forces. This is also due to the lesser amount of emphasis many put on advertising themselves as opposed to how many rebel groups operate. 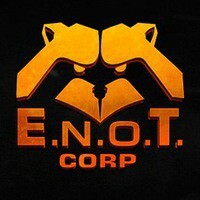 Many groups do not even operate official media pages, let alone produce logos. This is a notable difference to Syrian Opposition groups who meticulously document events such as the formation of new groups, and the use of weapons such as Anti-Tank Guided Missiles and Grads. 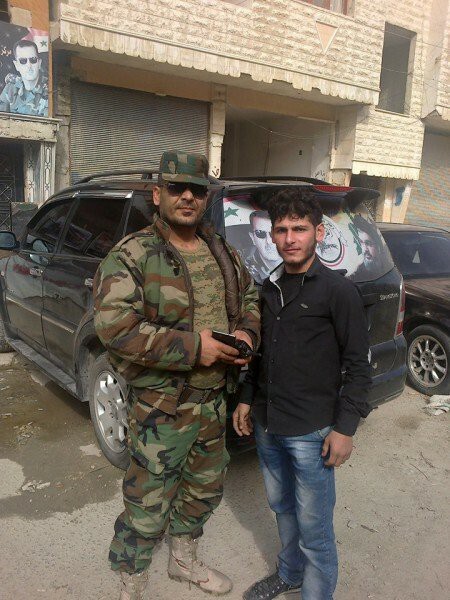 A key difference found in this project is that the regime militias tend to favor more insular Facebook social media, in stark contrast to the FSA and their embracement of Twitter. As such, the hundred plus logos we have compiled here are undoubtedly a large under count, although they are mostly made up of more important groups. The scope of this article is limited, and as such we will not being taking a close look into any individual group, or group of militias, nor will we look into some of the networks supporting militias. 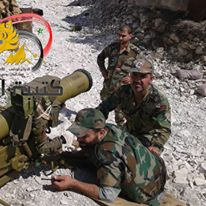 Beyond highlighting the existence and importance of pro-Assad militias, this article will look at the use of heavy weapons by loyalist militias, direct Russian involvement with the militias and the presence of Syrian as well as foreign Shi’ite sectarian militias. 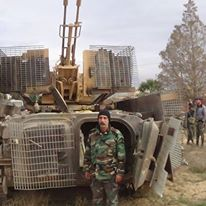 The proliferation of weapons to non-SAA loyalist fighting groups has included almost every major weapon system in the SAA pre-war arsenal, along with many weapons since delivered by Iran and Russia. 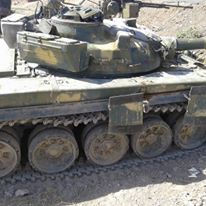 These include multiple variants of T-55/54, T-62, T-72, and T-90 tanks, BMP-1’s, 2S1 Gvozdika’s, ZSU-23-4’s, ATGM’s, and multiple types of towed and rocket artillery among other weapons. 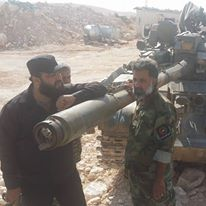 Even the best examples of armor the regime has access to have proliferated to militia, including T-90A’s used by IRGC backed Shi’ite militias, to Suquor al-Sahara’s recently seen T-90A and T-72B obr.1989 with Kontakt-5 ERA. 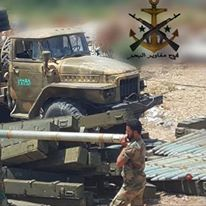 Interestingly, the proliferation of towed tube artillery and major rocket artillery systems seems to have lagged behind the proliferation of armor and ATGM’s, although this seems to be changing. Below is a small collection of media broken down by three categories: armor, artillery and ATGMs. 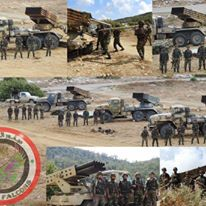 We have included some picture examples to give an idea of how common the proliferation of heavy weapons to non-SAA actors has become. 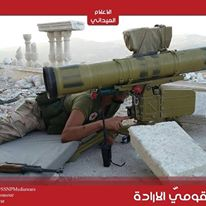 We have not included other weapon systems such as recoilless rifles or technicals, of which there are many. 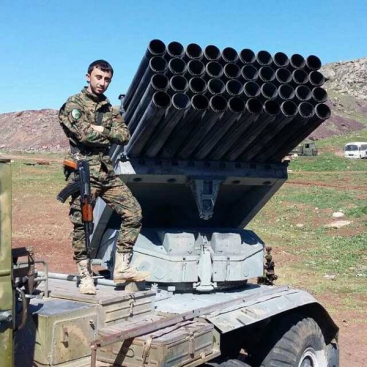 Similarly, we have not included examples of IRAMs or “hell-cannon” type improvised weapons, which are very common among regime militia and are easily recognizable. 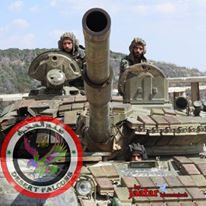 Much has been made of Russian involvement in the Syrian Civil War, with 4,000 Russian personnel thought to be active in Syria including several Private Military Companies [E.N.O.T Corp and Morgan Security Group PMC logos pictured above, both companies active in Syria]. 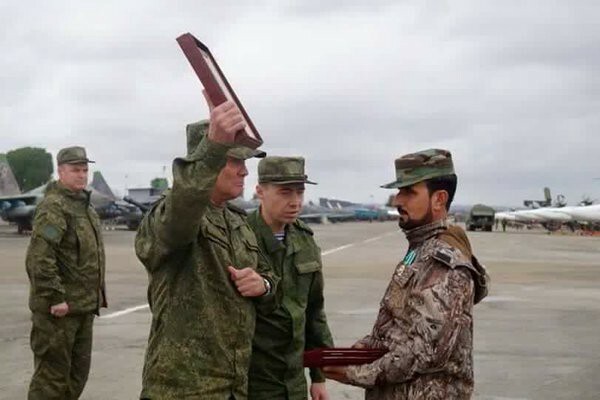 While most commentary has focused on the efforts of the Russian air force and Russian support for the SAA, recently some commentators have started noticing Russian ties to pro-Assad militias. 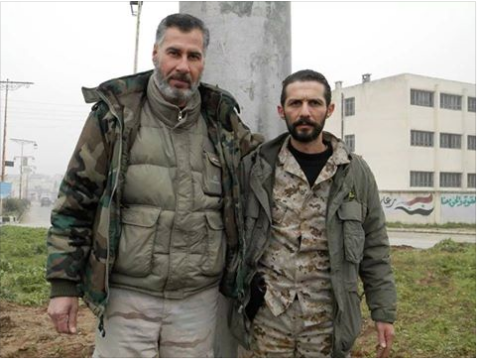 Russian ties to Liwa al-Quds for example, the well-known pro-Assad Palestinian militia in Aleppo, have been the subject of two recent articles, one by The Long War Journal and another by Conflict Intelligence Team. How strong ties between Russian and non-state loyalist actors in Syria are, and what exactly those ties consist of, is difficult to tell. 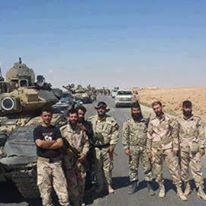 It is clear however, that such ties are increasing, as Russian officers and soldiers are seen more and more with various militia groups in Syria. Further, the influence of Russia’s intervention is noticeable. Increasingly, Russian imagery- from the Russian flag to symbols representing Russia-, and Russian messaging is appearing on media and social media linked to pro-Assad militia groups. The awarding of Russian medals to militia members, when it happens, is prominently displayed and celebrated, and some groups have even added some Russian to their pages. Early examples of Russian interaction with pro-Government militias date back to at least August of 2015, although they are more limited. 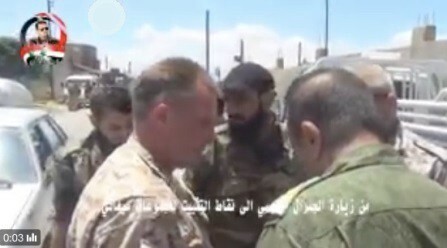 Pictures exist of Russian soldiers and officers interacting with the Prophet Younis Mountain Battalion, a Latakia Based pro-Assad militia. 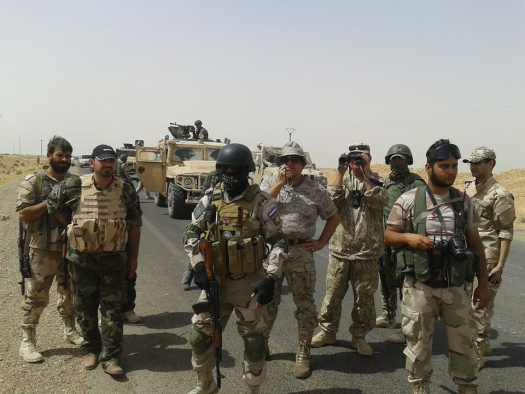 The most common early examples of Russian interactions with pro-Assad militias are with the Jaber groups, pictured above with Desert Hawks on the left [September 2016] and the Sea Commandos/”Navy Seals” on the right [June 2016]. 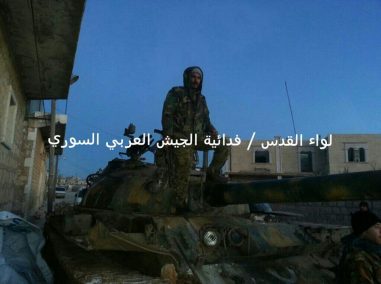 Russian involvement has become particularly notable in Aleppo in recent months, something highlighted by the recent CIT and Long War Journal articles looking at Liwa al-Quds. Three of the most important pro-Assad groups in Aleppo, likely the three largest contributors of manpower on the government side, are Liwa Imam al-Baqir, Liwa al-Quds and the Ba’ath Brigades [Pictures above from an awards ceremony run by Russian officers for al-Quds members in the end of October 2016]. Russian ties with all three appear to be growing. 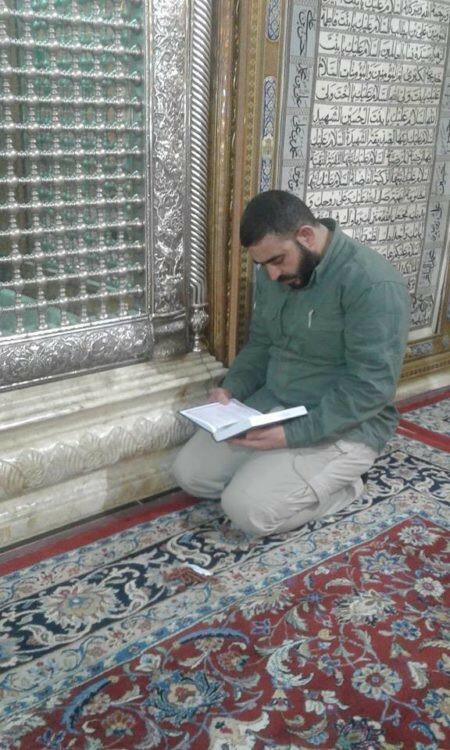 Pictures of Russians with Al-Quds members exist from as early as March 2016. 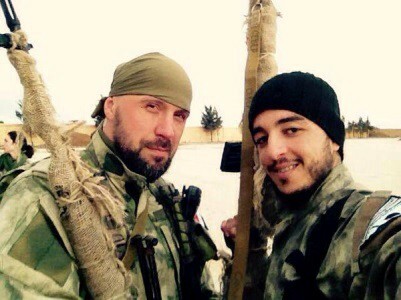 Russians are known to have met with with al-Baqir in May 2016. In the past few months, Russian involvement with these Aleppo groups has notably increased. Russian officers have on several occasions been seen in the command centers for all three organizations. Likewise, key officers and commanders from these groups have been recently seen receiving Russian awards. Evidence does not suggest that ties between Russia and these major include the distribution of weapons, or financial support. 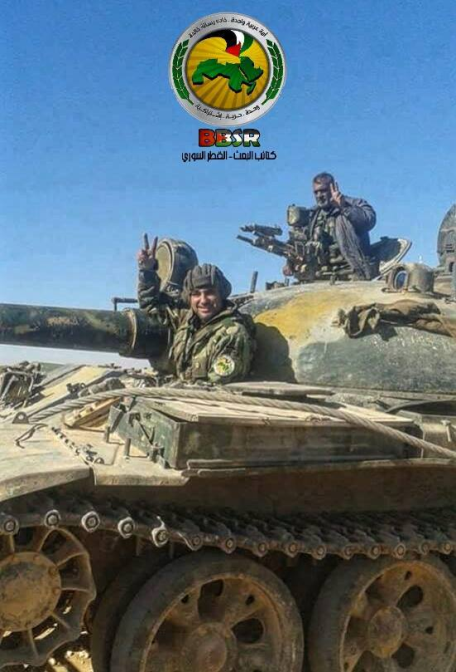 In fact, al-Baqir and al-Quds in general appear to be less well armed than some other pro-Assad militias. The evidence does suggest some level Russian influence and involvement in planning and directing operations by these three groups. Given Russia’s heavy involvement in Aleppo operations, it makes sense that Russia would become more directly involved with these groups as they are key elements of operations in the area. 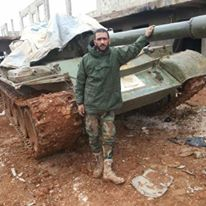 As Aleppo operations continue, and Russian involvement deepens, it will be interesting to see if these ties broaden to include the delivery of newer weapons directly to these militias, or if evidence of financial ties emerge. On a lesser scale, Russia has been seen to be involved with even minor militias and groups. 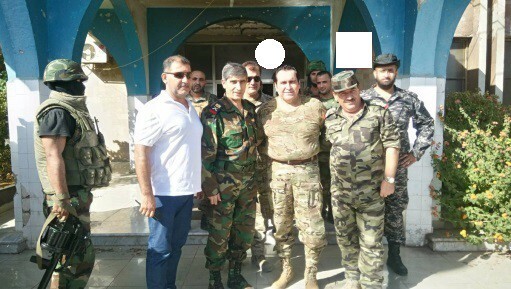 Seen here with commanders from a small local militia based in the town of Seghata, Hama in the summer of 2016. 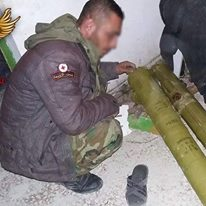 And here a Russian is seen with the Sootooro in Qamishlo. While it is difficult to measure the true extent of Russia’s direct involvement with militias and non-SAA groups in Syria, it is clear that such ties both exist and are expanding. It is likely that as Russia continues to become more involved in the Syrian Civil War, Russia will find itself working more and more directly with non-SAA groups to accomplish its goals. What will be interesting to see, is if Russian involvement with militias extends in the future to militias based in south Syria. So far, most evidence points to Russia becoming directly involved with groups based in the north of the country. Specifically in Latakia, Aleppo, Hama, and Eastern Homs. 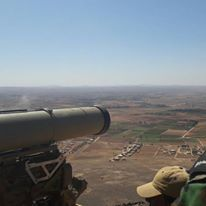 While less active in Southern Syria such as Damascus, Daraa, Quneitra and Suweida where many militias also exist, FSA Shuhada al-Islam of the recently forcibly displaced Darayya area did report Russian advisor involvement during the last days the pocket was able to defend itself against the regime. Although the topic is generally understudied, an excellent report on this subject has been published, Phillip Smyth’s The Shiite Jihad in Syria and Its Regional Effects. 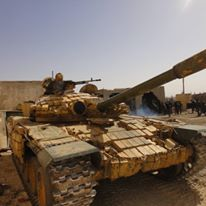 However, while this Jihad is not the focus of this report, it is key to understanding the growing extremism fostered among the militias of the Assad regime. A notable and perhaps unexpected example is the NDF—from the very beginning, Iran’s Qasem Suleimani took a direct role in the creation of the NDF, one of the earliest examples of Iran taking a lead at the local level in structuring and backing Assad regime forces. 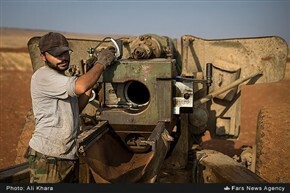 IRGC Commander Mohamad Ali Jafari even claimed that the NDF was modeled after Iran’s Basij paramilitary forces. This is relevant as several of the militia we have mention claim some degree of affiliation with the NDF. Of particular note, Iraqi Jihadi group Rapid Intervention Regiment formed an “istishhadi” [martyrdom] contingent in February 2015. 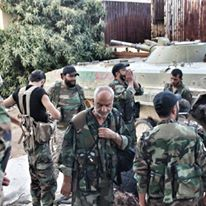 In addition to these many Shi’ite Jihadi groups, several non-Jihadi political groups from Lebanon have been active including the Lebanese Ba’ath Party and the relatively obscure Arab Tawhid Resistance as well as its subgroup the Ammar bin Yasser Battalion, both affiliated with the Druze Arab Tawhid Party. 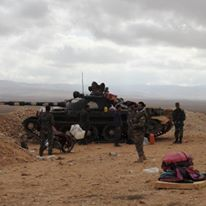 Other Lebanese actors such as the Lebanese Communist Party [LCP] have mobilized in regions of Lebanon that border Syria as the conflict seeps into the country, but do not fight inside Syria. 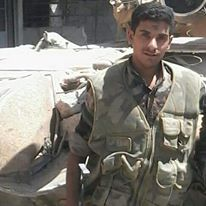 Arab Nationalist Guard, a pan-Arab milita which draws men from around the Middle East and North Africa, has been active fighting for the Assad regime, with one of their top commanders Hussein Issa [pictured above] being KIA in May 2016. 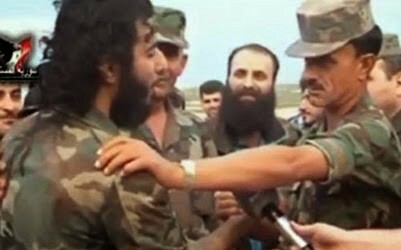 The Greek organization Black lily—a more obscure and radical group than the more famous pro-Assad Neo-Nazi group Golden Dawn, and which subscribes to the Nazi philosophy of Strasserism—have claimed to have been active fighting on the behalf of the Assad regime at the battle of al-Qusayr in 2013. 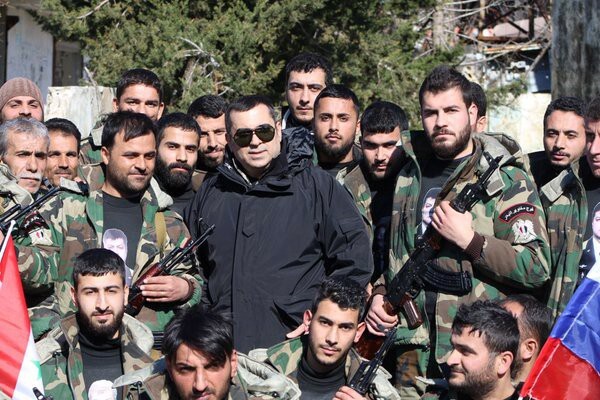 Regardless of the extent to which this is true and the number of Greeks in Syria, the fact is this represents the pro-Assad aspirations of many far-right groups such as the European Solitary Front for Syria [pictured above], who have been active in Syria in a noncombatant role. 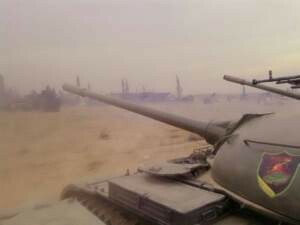 As well as these forces already listed, as of late 2016 there are persistent rumors of both Egyptian Military Forces intervening in limited numbers in Syria, as well as the threat of official Iraqi Popular Mobilization Forces [PMF] involvement in the future after IRGC Major General Mohammad Ali Jafari statements. 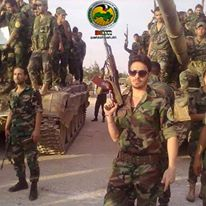 Damascus will always be the single most important, and powerful, Syrian actor on the loyalist side. However, the relative power and importance of the various militias will continue to rise as the drivers pushing them do not have an immediate fix. This trend cannot be ignored, as it will have large implications for the future of Syria, and will affect any policy choices made in regard to the ongoing crisis. 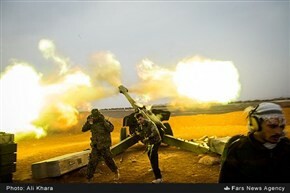 While the rise of criminal shabiha elements within the regime militias is of immediate concern, another threat that should be considered is the long term implications of the “Shi’ification trends” among regime militias and the danger of Iranian backed Jihadi groups in any future Syria where the regime is able to survive. While the issue of Al Qaeda presence in some quarters of rebel held Syria is often focused upon, the much greater and more viable danger would be regime held Syria becoming a regional hub for Iranian backed terrorism, enhanced and radicalized by years of conflict in the country. Furthermore, extremist political elements tolerated by the regime such as the SSNP have been empowered by the conflict, and the Assad regime’s association with the far-right in Europe and its implications beyond Syria cannot be ignored. 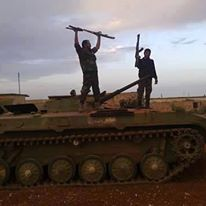 While the West wrings its hands over the training and equipping of the FSA and its implications, an important aspect to consider is that Russia may well take the initiative and launch its own formal train and equip program to strengthen its Syria proxies among the regime militia. 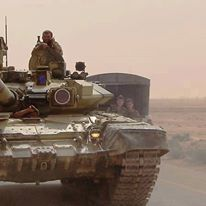 As stated by Syria analyst Faysal Itani, “Russia has preferred to deal with state institutions over militia, but that hasn’t always been practical due to the composition of forces fighting the insurgency“—rumors have already began regarding the Fifth Corps regime militia established a few days ago. 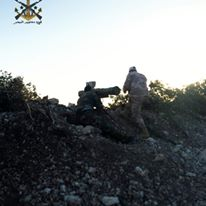 Thanks to Aymenn J Al-Tamimi for giving feedback and suggestions on an early version of this article, and huge thanks to John Arterbury and Type 63 for their continual help with Arabic as well as for finding new information on militia groups. Cody Roche had no contact with Aymenn J Al-Tamimi during the writing of this article, this was dealt with entirely by Vincent Beshara. Cody Roche is not associated with and does not endorse Aymenn J Al-Tamimi’s work elsewhere. 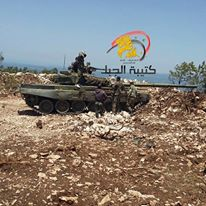 Ba’ath Brigades BMPs, location unclear [September 2016] – this is not Baath Brigades BMP. 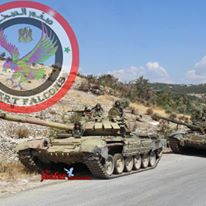 This 2 BMPS was captured from Jund al Aqsa during failed assault in Hama in early September. Many mistakes. 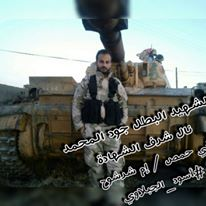 Saraya Salam al Aqeeda -UNCONFIRMED in Syria? They fights in february in Nubbol and have 5 or 6 martyrs. 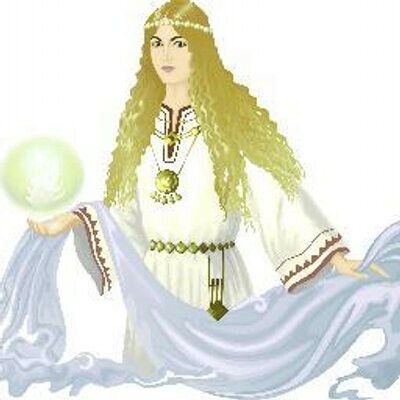 Al Abdal UNCONFIRMED? Really? They have bunch of pics and vids from Aleppo, come on. You are mentionning sectarian militia’s and “fascist” SSNP, yet your whole article is nothing but a terrorist sympathising article. 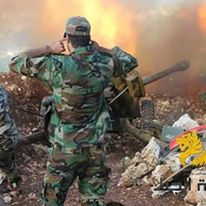 Firstly, let us understand that the factions that are fighting ALONGSIDE the Syrian Arab Army are resistance groups that have arisen from within Syria at the result of an attempt from the west to arm and fund terrorism from every hole in this earth to try and invade Syria and overthrow the government in Syria. These resistance groups have been born as a result of the terrorist factions that were armed, trained and funded by US, Turkey, Saudi and “israel” (and many other countries). These countries that are backing the so-called “rebels” in an attempt to achieve “democracy” in Syria, yet all the countries backing the “rebels” are not even democratic and they do not give their people or the people of the world the most basic of human rights or human choice. They kill and destroy every person that disagrees with their politics or with their ideologies. 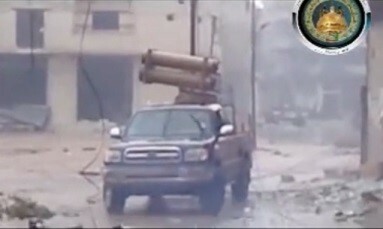 The “rebels” in Syria have become one of 2, either Jabhat al-Nusra or ISIS. SSNP are an ideology from within society and are a nationalist party that support unity and one united people. They are a make up of Muslims, Christians and have no sectarian agenda and have always called for any sort of religious involvement in politics to be removed. 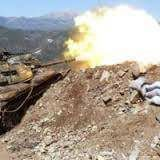 All of the groups that are fighting alongside the Syrian Arab Army are doing so because they feel and saw the agenda that was being plotted by the west and certain Arab countries against Syria. 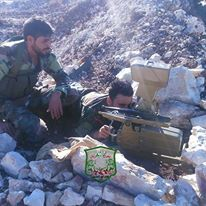 You mention the existence of the FSA as if it is fact, yet there is nothing on the ground that signals or shows any hint of their existence. There was people that opposed the government, but these have all become Nusra terrorists and so it is absolutely non-existant this claim that FSA are factually existing within this war. There is no city from the beginning of the crisis until this day that has fallen to “FSA” and has had anything other than Sharia law, huge expulsion of the cities’ people and mass killings. 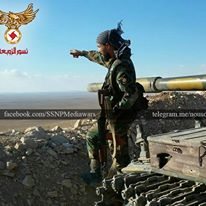 Ultimately, the fact remains that yes, after a 6 year WORLD war against Syrian Army, naturally, it is not what it once was, but it is existing and moving forward alongside its allies and the Syrian people that have helped which includes wonderful groups such as SSNP, to keep Syria standing in the face of the western, israeli and terrorist agenda. Turkey, Saudi and “israel” (and many other countries). These countries that are backing the so-called “rebels” in an attempt to achieve “democracy” in Syria, yet all the countries backing the “rebels” are not even democratic and they do not give their people or the people of the world the most basic of human rights or human choice. They kill and destroy every person that disagrees with their politics or with their ideologies. 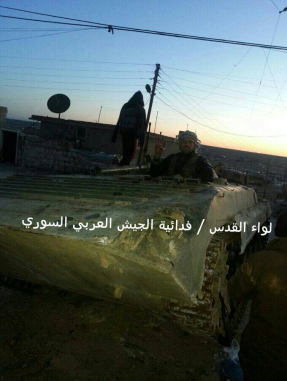 The “rebels” in Syria have become one of 2, either Jabhat al-Nusra or ISIS.